Literally translated, crown moulding is “the highest point of any construction”, “the top of the head”. It is where the wall meets the ceiling. Why should I get Crown Moulding? Crown moulding design is something much more than a hunk of wood fastened to the top of the ceiling. Besides adding beauty and warmth to a house, crown moulding accents your home and more importantly adds balance to a room. Our customers want to enjoy being at home. Stepping into a room with crown moulding, you instantly feel the intimate warmth crown moulding brings. It complements any room and transforms it into your own personal living space. The room feels more complete and much softer than without the crown. The harsh square edges are gone. 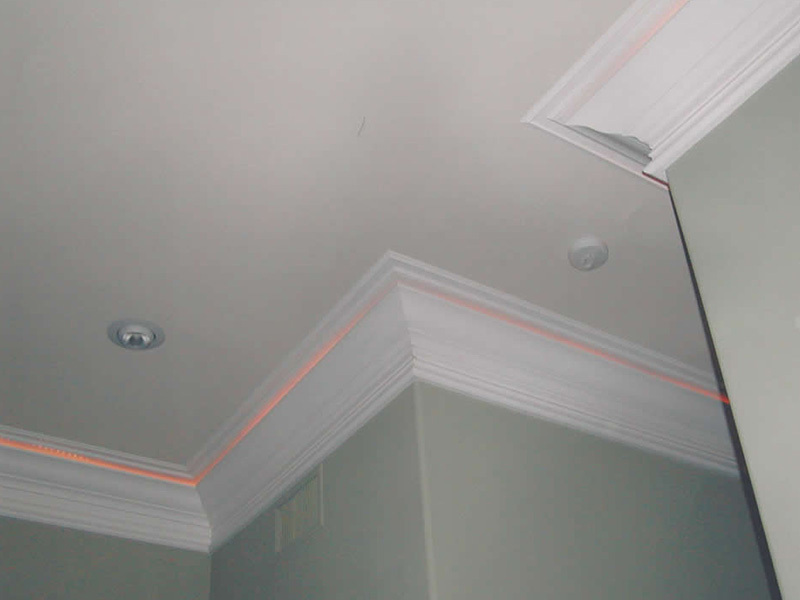 The demarcation the crown provides allows a distinct boundary that separates two different color surfaces on the wall and ceiling. 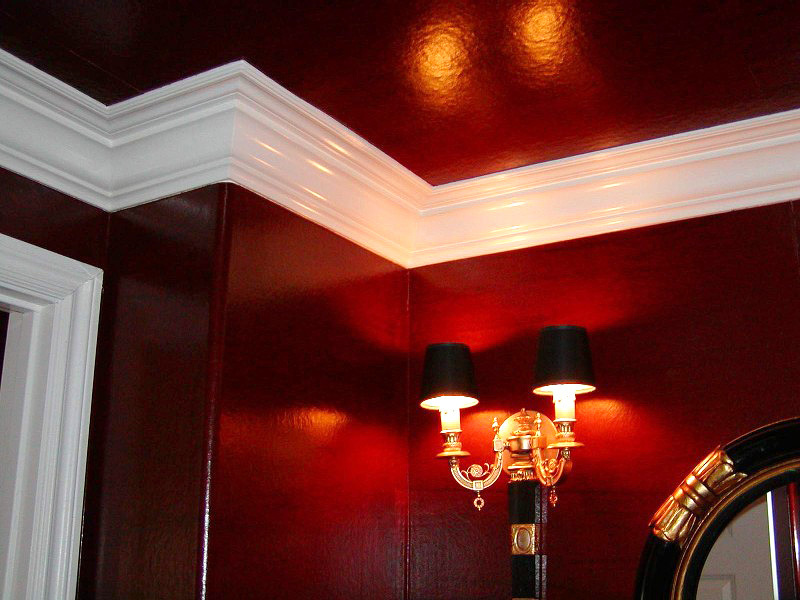 For example, a faux finish could stop directly under the crown and a harmonizing color could be used on the ceiling without a direct contact line.